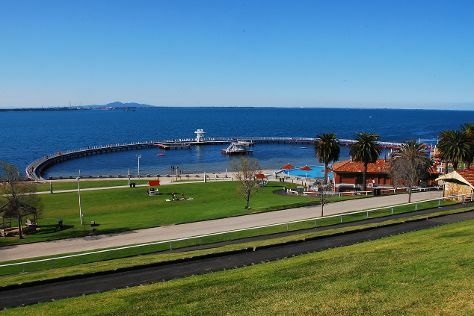 Take a break from the city and head to Eastern Beach Reserve and Royal Botanic Gardens. Give yourself a bit of retail therapy at Yarra Valley Chocolaterie & Ice Creamery and Stony Creek Gallery. Explore the numerous day-trip ideas around Melbourne: Ballarat (Art Gallery of Ballarat, Ballarat Wildlife Park, & more), Bruno's Art and Sculpture Garden (in Marysville) and St Mary of the Angels (in Geelong). Next up on the itinerary: brush up on your military savvy at Shrine of Remembrance, take a stroll through Collins St/Swanston St, learn about wildlife with up-close encounters at Melbourne Zoo, and take in panoramic vistas at Eureka Skydeck 88. To find other places to visit, where to stay, and tourist information, read Melbourne online visit planner . If you are flying in from Malaysia, the closest major airport is Melbourne International Airport. May in Melbourne sees daily highs of 20°C and lows of 9°C at night. Finish your sightseeing early on the 3rd (Mon) to allow enough time to drive to Port Campbell. Port Campbell is a coastal town in Victoria, Australia. Your day-by-day itinerary now includes The Twelve Apostles. 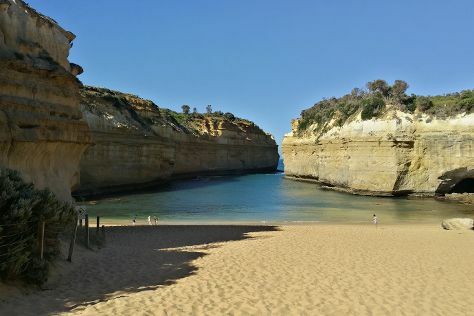 On the 4th (Tue), explore the activities along Bay of Martyrs, take in the dramatic natural features at The Twelve Apostles, then look for all kinds of wild species at Loch Ard Gorge, and finally identify plant and animal life at Gibsons Steps. Here are some ideas for day two: delve into the lush surroundings at The Redwoods, then admire the sheer force of Triplet Falls, and then look for gifts at Hugs Across The Cosmos. To find reviews, traveler tips, and more tourist information, read Port Campbell route planning app . You can drive from Melbourne to Port Campbell in 3.5 hours. Alternatively, you can do a combination of flight and bus; or do a combination of train and bus. Wrap up your sightseeing by early afternoon on the 6th (Thu) to allow time for the car ride back home.